We know it is important to show your company cares. Your values speak to who you are and how you are perceived by your customers. A corporate partnership with SCIP provides many benefits for your business and the communities in which we both operate. We support all cochlear implant patients who live south of Taupo, including all of the South Island, so our people, are your people. Profound hearing loss is isolating and disheartening. It affects family life, social interaction, the ability to learn and work and cuts people off in what is essentially a hearing world. When you partner with SCIP, you will have the opportunity to support the hundreds of patients in our care and help them to gain back independence, become active members of their communities and reconnect with loved ones. SCIP has the ability to offer corporate partners a range of benefits for their support including the opportunity for co-branding, connections with patients, staff engagement, social and print media opportunities and networking events. Technology – cochlear implants are ground-breaking. Align your commitment to technology with ours. We encourage you to talk to us today about how your business can partner with us to make a difference in the lives of the hundreds of people who need us each year and how we could acknowledge your contributions. How much would you give to hear? 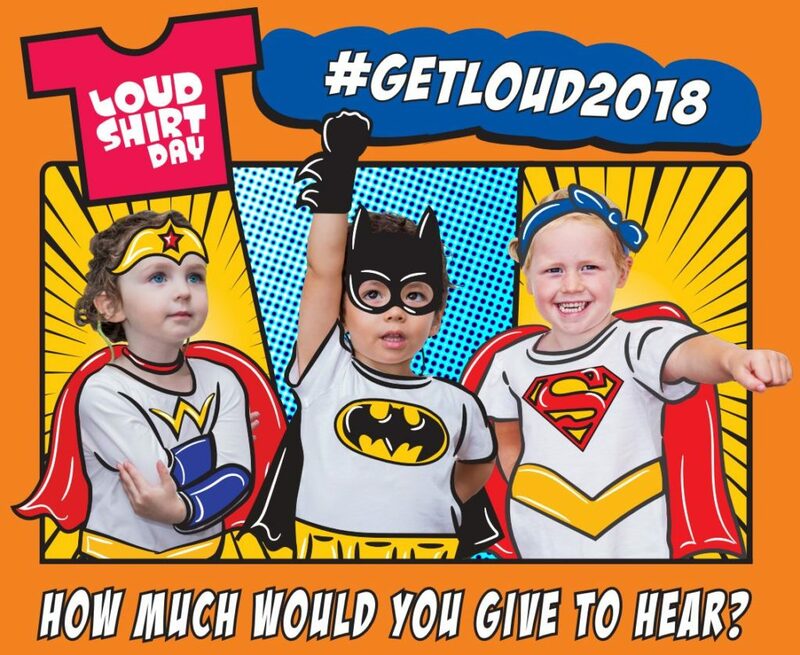 Your company can take part in Loud Shirt Day in September and fundraise to help deaf children listen and speak. Let’s be honest, who doesn’t want to shake off their suit and tie for a day in favour of their best Hawaiian number? !